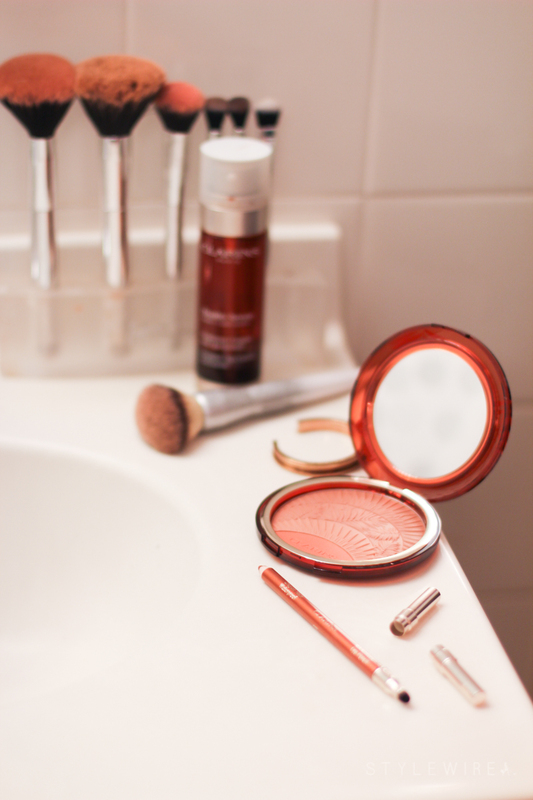 Summer is coming to an end and I want to keep this sun-kissed glow forever, don’t you?! Thankfully, with a few makeup products I totally can! 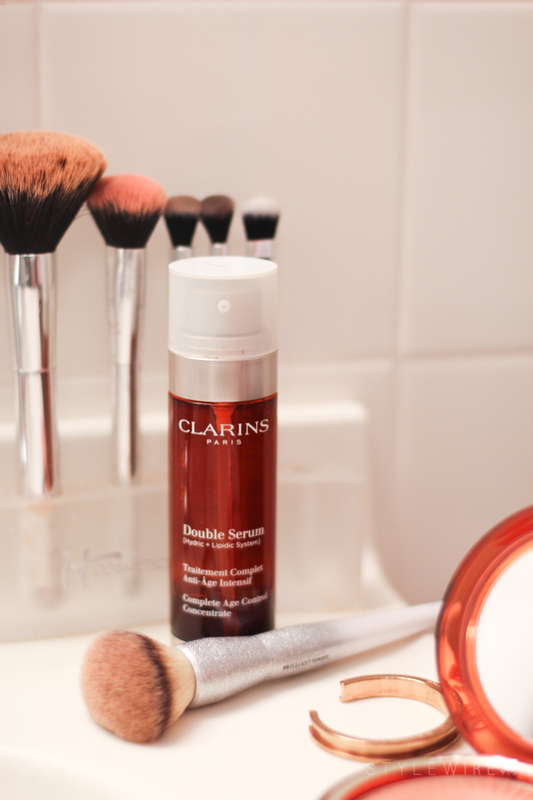 I recently received some items from Clarin’s limited edition collection and I love how easy it is to recreate a subtle, beautiful glow. I’ve always been a big fan of their Double Serum (recently redeveloped!) and their self-tanning drops. Combine their amazing skin care products with their makeup line and you can finally achieve that perfect summer glow year-round. 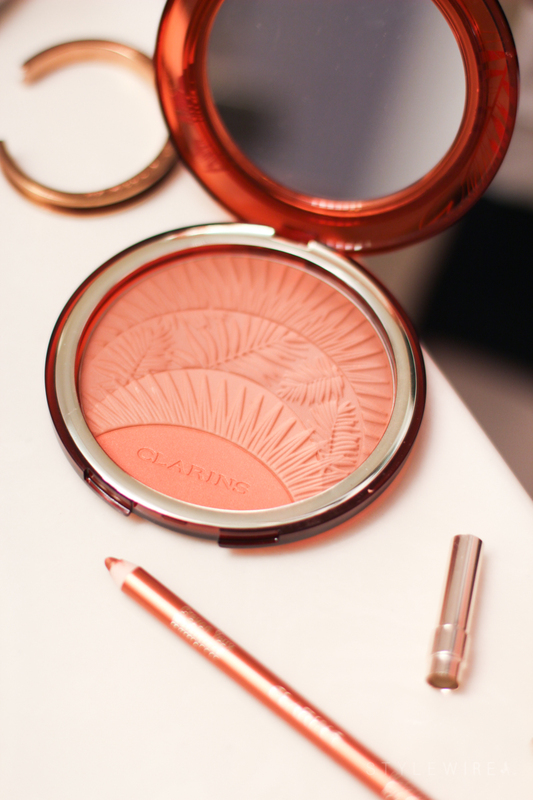 If you only grab one product, make it this limited edition Sunkissed Summer Bronzer Compact. With three shades for ultimate contouring, this gives a subtle glow with buildable color and just the right amount of shimmer. It’s been my favorite lately for cheekbones, forehead, and nose. 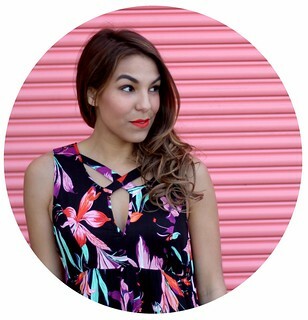 When paired with their Gold Waterproof Eye Pencil you’ve got a look that says endless summer. This smooth pencil has a rich pigment that glides on with ease and looks beautiful layered over black liquid liner for a glam night out or when worn alone with just a touch of mascara on minimal makeup days. Grab these limited edition products while you can, they won’t be available for long!